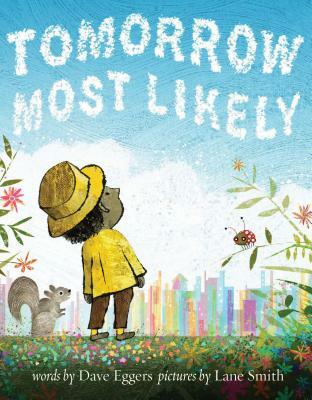 Rather than focusing on going to bed—and what kid wants to think about going to bed?—this book explores all of the dreamy, wonderful, strange things the next day might bring. Whimsical, witty, and hopeful, this revolutionary rewriting of a classic goodnight book from bestselling author Dave Eggers and award-winning illustrator Lane Smith is a bedtime story for tomorrow ever after. Dave Eggers is the author of many books, including What Can a Citizen Do? and Her Right Foot. He is the cofounder of: Voice of Witness, an oral-history series focused on human rights; 826 National, a network of writing and tutoring centers; and ScholarMatch, which connects donors and under-resourced students to make college possible. He lives in the San Francisco Bay Area. Lane Smith is the author and/or illustrator of several award-winning books for children. He is a two-time winner of the Caldecott Honor for Grandpa Green and The Stinky Cheese Man and Other Fairly Stupid Tales, and several of his books have been New York Times bestsellers. He lives in Connecticut.